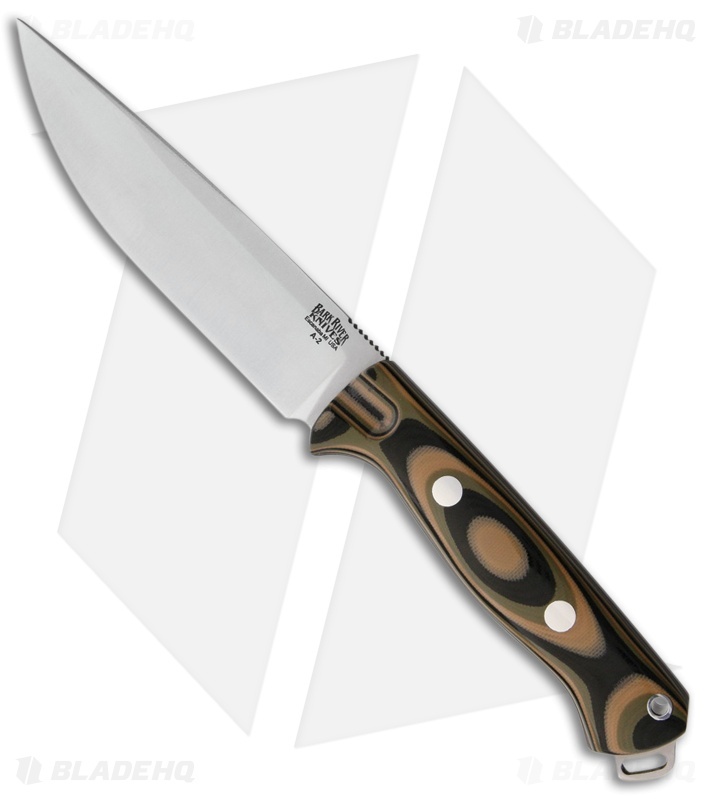 This Bravo Vortex fixed blade features an A2 tool steel blade with jimping on the spine. Its handle is fitted with Green Camo G-10 scales. The Bravo Vortex by Bark River Knives is a longer and sleeker version of the standard Bravo 1 knife. Its blade profile is perfectly suited for general purpose cutting tasks. A new handle configuration has a unique thumb print to aid in location for lateral use. Includes a handmade leather Bravo Vortex sheath.